You’ve seen the headlines, watched the news videos, and live news clips online. Migration is constantly in the news. 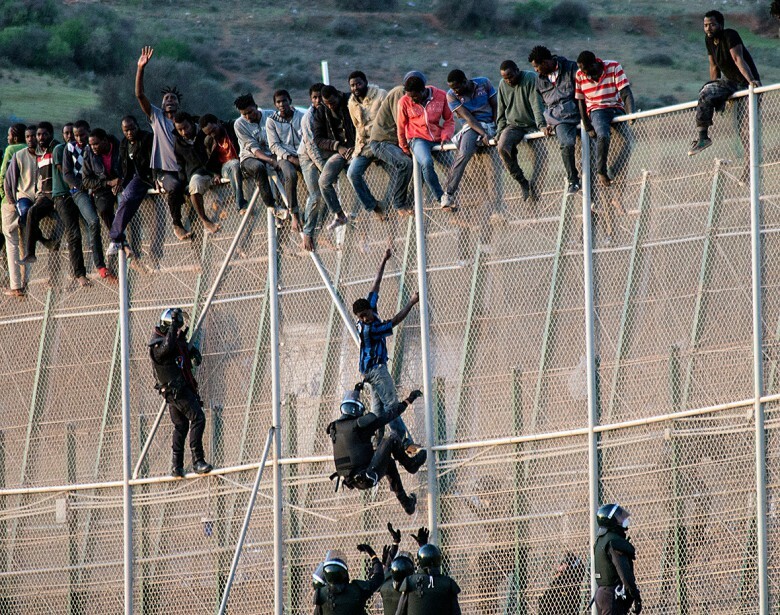 Each year, more young African men keep climbing fences into European Union territory, says the International Organization for Migration. 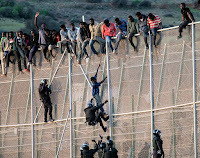 They join the tens of thousands of West Africans migrants in Morocco and more than half a million in Libya, determined to go North. Research commissioned by Organization for Economic Co-operation and Development found that about a million West Africans with a degree migrated to another, usually better off, country outside the region in 2010/11. A whopping 92 percent rise from 2000/01. In total, 13 percent of all degree holders from Sub-Saharan Africa emigrated over this period, the highest proportion of any region around the world, the report said. Theodora Xenogiani, an Organization for Economic Co-operation and Development researcher and an author of the report, said a major cause of this migration is highly educated people being unable to use their skills. “If you have, for example, a scientist in a lab without tools and equipment, they might want to migrate, not just because of their salary, but because conditions do not enable him to do the research he might want to do,” she says. Here is a South-South migration story of an African scientist, sent from Monrovia, Liberia where Prof. Osman Sankoh arrived Thursday, January 21, 2016. Landed at Robertsville International Airport in Monrovia. The last time I landed here was about three decades ago when I stupidly decided to leave Sierra Leone to join a Sierra Leonean living in Buchanan, Liberia. He would visit Songo (a town in Sierra Leone) and wear lovely jeans, US T-shirts and jeans. I used to admire him a lot. So when I dropped out of FBC ( Fourah Bay College) due to inability to pay my fees after a few months of registering to study Mathematics and History, I thought leaving Salone (Sierra Leone) would be the best way forward. I had little or no cash on me on arrival at this airport. And I only got to know here that it would take about 2 hours to drive to Buchanan. A minibus driver was kind enough to take me without assurance he would be paid. In Buchanan, we went to the school where my friend was teaching. Fortunately, he was teaching late so we found him there. His facial expression was extremely unwelcoming, quite the opposite of what he had told me in Songo when he last visited. The reason became apparent when we drove home in a "comeh-comeh" (rickety) taxi a few hours later. This gentleman who had told us about living a luxurious life in Liberia was squeezing in the tiny room of a 5-bedroom house shared by other teachers. I had to sleep in his room! ... He had his cooking utensils in his room, contrary to what he told us back home in Sierra Leone. The hammering noise of his 20-year old refrigerator couldn't let me sleep. After a few months, I advised myself: this wasn't the country for me! I used the few US dollars I had saved from teaching mathematics to some grown-ups to find my way back to Salone and I went straight to Motema town in Kono District where a policeman friend of mine was last seen. I was lucky to find him. A day after I got a job at Yengema Secondary School where I started teaching Economics to David Tam-Bayoh and others in Form 4. I prepared David's cohort for the GCE Levels and they did well. David now has a Ph.D. and is the host of one of the most popular, if not controversial radio programs in Salone. OK, the aircraft is refueling and we are told to shut off our phones. --- Best, Mallam O.
Osman was born in the village of Warima in northern Sierra Leone. 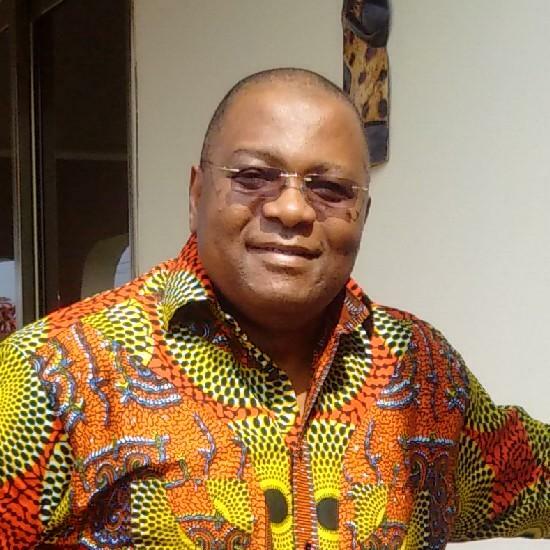 He attended Tomlinson High School in Songo, and did undergraduate studies at Njala University in Sierra Leone where he graduated in 1987 with a bachelor's degree in Mathematics. He was a Research/Teaching Assistant in the Department of Mathematics at Njala University (1987-89). He pursued undergraduate and postgraduate studies in Applied Statistics and Spatial Planning at the Technical University of Dortmund in Germany where he was awarded in 1996 the German Academic Exchange Service (DAAD) Prize for Academic Excellence and Exceptional Social Engagements by a Foreign Student - a prize which cut across all nationalities. In the Department of Statistics at Dortmund Osman worked as a research assistant in the Chair of Statistical Methods in Genetics and Ecology as well as in the Institute for Economic and Social Statistics. Osman became Executive Director of the INDEPTH Network in October 2007 after serving as deputy executive director since mid-2006. He has many years of experience in health and demographic surveillance and in networking of international scientists and research institutions. Osman is a member of the Advisory Boards/Committees of several international research institutes and academic journals. He has also acted as a consultant on population and health issues to the World Bank, the World Health Organization, and the African Census Analysis Project at the University of Pennsylvania in the US. His publications have appeared in a range of international journals. His work on epidemiology and biostatistics has been published in The Lancet, Lancet Global Health Nature, Tropical Medicine and International Health, Journal of Public Health, Global Health Action, PLOS ONE, PLOS MED and the International Journal of Epidemiology.